Verizon Connect Work Reviews Recently Reviewed! Pros: I loved how easy it was to navigate and filter to find the invoice/ticket/customer that I needed really fast. I loved how I could keep whatever information I needed with customized info boxes. Dispatching out to Employees was easy and the old App for the Techs out in the field could do many things. IT worked great on the desktop end. Cons: When we 1st signed on we were promised that the program would keep track of our inventory. We are a HVAC business and we have a lot of parts to keep track of. It wasn't working great when we started and the old app was ok with it. Then they Upgraded and had a new App and they completely trashed the inventory program and didn't tell us. 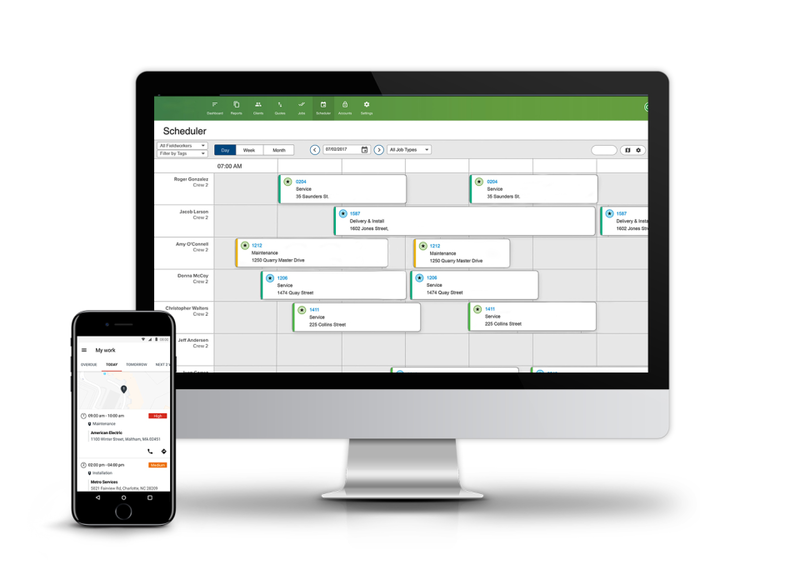 Overall: It's a scheduling software that started on an internet base and tried to go to mobile and has failed in my opinion. They will roped us in with promises that they didn't keep. This is why we decided to leave. Comments: Right now we are paying for the monthly as when you sign up they say " there is no stopping the payment". However, you can't see where it is going to really work, or not, until it starts getting implemented. We were "gun ho" when we started as it was "completely customizable". We test drove a system last year and ditched it because the invoice could be sent to the technicians email for data mining. They promised to make sure it didn't happen with this one and sure enough the day we started none of the pricing showed up for parts and the email feature was enabled. That means they wasted our time in the multiple data gathering sessions to set it up. WE HAVE ASKED FOR A CANCELLATION BUT WERE TOLD THEY DO NOT DO THIS AND THAT WE WOULD HAVE TO PAY THE WHOLE YEAR. Pros: Great for the Field guys as they like the photos and dispatch features. The details get out to them faster and they can start from home to the first calls for the day. Turn by turn directions are great if all your site locations are set up. Cons: The interface with Quickbooks is one way with parts. Changes in prices in Quickbooks have to be hand entered in both systems. We were told we would not want to use the Quickbooks after using there software. That is code words for "It doesn't work well" with Quickbooks. The time to generate an invoice is twice as long for the invoicer. The time from the techs has to be hand transferred to the invoice. There is no automatic calc from field to invoice because "they don't want to be responsible" for the techs pushing the wrong start/stop times. The time savings given in the sales pitch is diminished by the lost productivity in maintaining pricing and transferring times. Also the techs can alter the time they actually start and stop so forget using it to prove in any court when they actually arrived. For those of us managing technicians there is just as much chance for time abuse using this system. In the day of SQL database interfaces they are missing the boat in a fully integrated system. Every answer to our objections was to have us place a comment on a link button for the "developers" somewhere in the UK to "consider". Comments: Would not recommend this company as a work platform. From the limitations of their platform to the extent of their billing issues to the poor customer service, this is a poor provider all around. 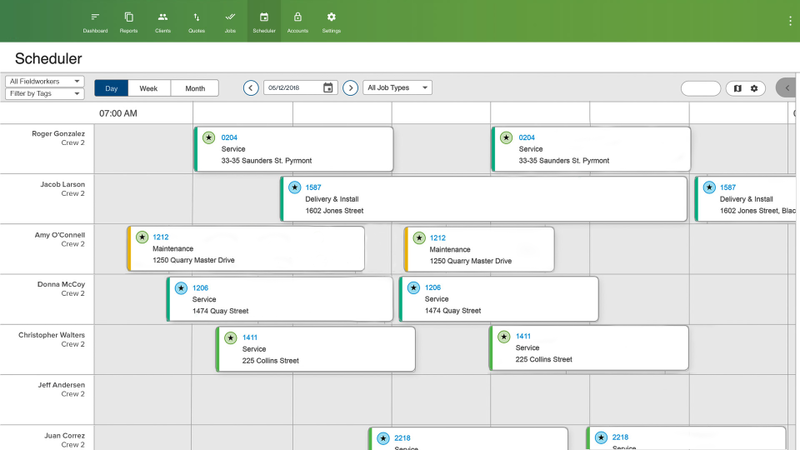 Pros: Dispatch board is a decent portal for scheduling. Beyond this there has been very little positive with this program that I would recommend. Cons: Used the system for 2 years. In that time, they have multiple programming issues. Including an error that took recurring jobs which were scheduled for 2 days and booked hundreds of calls for the same recurring issue months out. Resulting in thousands of calls on our schedule that needed to be removed once at a time. Took days to delete and further spent days helping their tech department to resolve the issue. Their programmer found an error in their system and did correct it but sorry about our luck for the cost and time to repair. Reimbursed us for a months service as thats all they could do. We have had numerous billing errors over the past two years and getting any resolution from them takes a minimum of 6 calls in my experience. Nobody is capable of making any decision regarding assisting a customer. We notified them that we were cancelling the contract with 90 days notice (60 required) and got confirmation of this. 2 weeks later I inquired as to the cancellation and was told nothing was in the system. Cancelled again following their process. Found out again that this hadn't been done. Wanted to lock me into another year of payment. Pros: The program is fairly straight forward, and easy to use. Booking calls is easy, once you have the clients already in the system. Cons: Being very simple, it can be kinda clunky. It is hard to look up the history of a client, when you are already in the middle of booking a call. You have to exit the scheduler, and open up each call to see what was performed on each visit. It can be very cumbersome, when you are on the phone with a client and just trying to figure out how to proceed. We find the program fairly slow to load clients and work history, and there isn't an easy way to combine duplicates in clients or calls. When we notified Verizon WORK that we were cancelling our services and moving to another company that had a more full billing program, they started nickle and diming us. It was like they were trying to screw us for any extra money they could get out of us. Comments: For the past month and a half I've been working with learning the Verizon WORK software as well as Verizon REVEAL. This software is definitely ideal for those starting a business and would like to keep track of their fieldworkers. Although i do feel that this software is not for every industry. I'm in my mid 20's and can confidently say that I'm technologically inclined and learned this with a fast paced manner. This software can be easily learned by younger generations but I'm finding it very difficult teaching our older office administrators how to use this management system. This goes as well with the mobile app. Pros: Has quick respond time on uploading and saving. There are multiple ways to do one specific task, so there's not just one way to navigate through the software. You can set specific restrictions on certain fieldworkers/ admin controlling their ability what to see on a specific job dispatched to them. The implementation team is very patient and will schedule as many training sessions as needed to learn the functionality of the software. Recommendations to other buyers: This is great for starting out business's. If your a company that already has been well established the transitioning process can be harder than those starting off fresh. This is not something that can be transitioned withing a day or a couple of weeks. It takes time to learn but once learned it will substantially improve and increase productivity. Comments: Stahlman-England, INC began using Verizon WORK in January 2015. The overall program was easy to implement and the Customer Support was beyond expectations! This program was less expensive than all other Service Programs and accomplished a lot more with regard to "real-time", invoicing, reports, quotes, and customer follow-up. 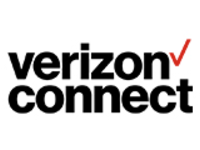 This Program has enhanced our business and the endless features Verizon WORK offers, is still being discovered and incorporated into our business plan EXCELLENT FOR CONSOLIDATED CLIENT INFORMATION, SERVICE APPOINTMENTS & SCHEDULING, INVOICING, PROFITABILITY, AND DETAILED REPORTS! Pros: Verizon WORK gives me, as Director of Corporate Operations, essential detailed productivity reports within seconds. Instead of needing 2 to 3 different software programs, Verizon WORK alone produces these reports. With a click, I have reports of total revenue including breakdown of labor, parts, travel time and actual job duration. Our technicians are able to sell more by doing quotes instantly. This exciting, real-time "Quotes" feature allows our office to email these figures within an hour, thereby closing more sales than ever before. Verizon WORK has allowed us to streamline and fast-track our paperwork; one-hour tasks are now done in minutes. Verizon WORK enabled our transition from piles of paperwork to next-generation technology. Cons: PRODUCT ENHANCEMENT of certain issues. Example, more than one email address, speed of program when changing on the dashboard. 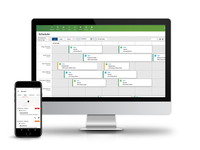 Pros: Recurring workorders, easy to invoice, easy to assign new jobs to fieldworkers. Mobile and desktop access. Cons: ZERO support from developers. Sales will tell you once thing, it doesn't happen and you get zero response from any feedback/enhancements you submit. Pros: Seamless tracking of precise fleet locations. Took all the stress out of monthly mileage reporting to ODOT -- set it up for reports to be automatically emailed to me at month-end. Cons: The report center does not seem as user-friendly as it could be. The filter options can be a little confusing and it can be hard to find the report you're looking for (distance traveled is what you need for monthly mileage by truck). Customer service was extremely lacking -- it took months to get a response after the initial buy-in. At the time, we felt like no one cared after we signed the contract -- however, we now feel that we were likely just part of the flooded market and got lost in the shuffle during the ELD mandate -- the market was flooded at once with people desperate to stay compliant. We have not had any issues after all was setup, so we have not had a reason to contact them again. Comments: The sales pitch "demo" is really great. I was promised this product would do everything I needed it to do and more. It is on the more expensive end of fleet/service software but I figured if it did literally everything we needed it to do, it was worth the money for the time it would save us. I was very hesitant to sign a year contract up front and shouldn't have. The first red flag was that it took literally 3 months to get my data (and then not even all of it) transferred from our old system to the new one. Apparently the implementation team is very busy. But they kept charging me, despite the fact I couldn't use the software because my data wasn't in it. Things went downhill from there. The last piece of bad news from Verizon WORK is that I attempted to cancel the automatic contract renewal via phone, and was told it was canceled via phone, and of course it wasn't. After sending a detailed email CCing my attorney, they did let me out of the renewal contract, but didn't refund me that month's payment (including the a hefty "renewal" fee). Pros: It's online. The IT department is very polite. Cons: Just a few: Sales guy said I could run reports for commission pay for my employees. I cannot. I had to buy another software to do that. I was told I could import all of the data from my previous application. I cannot. I'm stuck having to use both applications because a lot of the data that was imported was jumbled and things like pricing on jobs is missing. I was told this application synced seamlessly with Quickbooks. It doesn't. DO NOT sync it with QB if you charge sales tax. I've had to manually delete all of the invoice data in Quickbooks costing me hundreds of dollars. Verizon WORK is very frustrating to use. The implementation team had to give me several work-arounds to make it work for my business. One of them requires us to make multiple "jobs" for every actual job which creates a logistical nightmare and it takes a lot of extra admin work. This is because you cannot invoice with the taskworker, only with the fleetworker. The phone app is not intuitive. For instance, you have to not only hit "save" but also "update" to save anything on an estimate and you can only update one thing at a time. If you try to change the description and then add an item without saving and updating first, when you go back to the estimate the description is gone. Then, after you hit "update" it kicks you out of that estimate and you have to sort and re-find the estimate to add information. This is something that yes, I can work around. But it's very frustrating and takes so much longer. The phone app also crashes a lot. Often enough I started saving everything I do in notes and then copy and pasting them to the app hoping they'd be there when I get back to my computer. I cannot use the new version of Verizon WORK at all, because if I open a job there's no scroll bar. Also, the system automatically changes the time of the job to 5 hours later in the day. I repeatedly asked for a fix for this to no avail. Recommendations to other buyers: Do not purchase this software unless you need just basic functionality and don't mind paying a high price for it. If you are thinking about purchasing it, I would push them to let you have a free trial so you can see how slow and buggy it is. Make sure you get everything they promise you it does in writing. And don't sync it to Quickbooks if you charge sales tax. It will create a nightmare. Pros: Allows work phone number to ring to cell phone, can turn on/off do not disturb when not at 'work'... both personal cell and work phone ring on cell phone, with different ringtones. Great work from home feature, accessing phone from anywhere the cell phone goes. Business expense can qualify entire phone bill to be written off on taxes. Cons: Customers complain that the sound is low and they cannot hear me. Also the phone 'blinks out' after a few minutes of conversation. Phone call is still connected, but I cannot hear the client speaking , and they can still hear me. I have to put phone on speaker, then back to handset in order to reconnect with client, faking a cell reception glitch, .... very interrupting and disconnecting professionally. Uninstalling and re installing does not fix the problem. Often I have to just use my direct cell as back up. 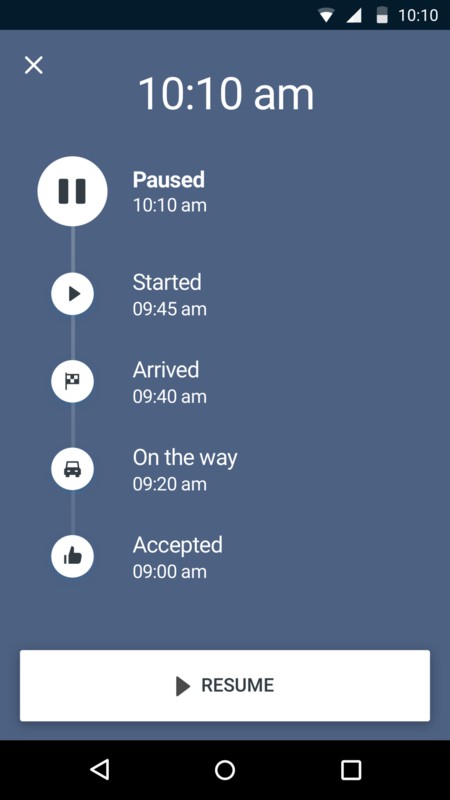 Overall: Specifically, Verizon One Talk has acceptable features, but something is wrong when I can't hear the client's voice. Pros: Mobile dispatching and in office changes to on-site technicians. Cons: I was really excited to switch over to Verizon WORK. 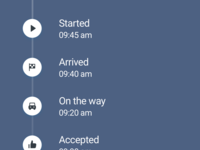 We use Verizon REVEAL for our fleet tracking and have loved the service so when the salesman talked to me about their work program it seemed like a great fit. Unfortunately this ended up being a horrible experience. It took them months to do the customer integration then when we got the program they somehow uploaded all active and in-active- inventory, items, services, customers. They sent me to a guy who tried to fix it but I ended up having an office person spend 2 weeks cleaning it up. We got it all squared away started scheduling work and dispatching technicians the first month we completed around 450 jobs. When we went to bill them the integrator into QB wouldn't work so we called the tech line multiple times and they tried to fix it the tech couldn't get it to work so he told us just to do the invoices manually. I had an office person go through all the job cards and create and re-write 450 invoices. The next month after it not working and spending a bunch of time on the phone with techs we finally got it to send the invoices to QB. Then I noticed it actually created all new line items but with the same name so when I pull a p/l report everything from Verizon WORK is now uncategorized income and it wont even let me fix it without deleting the invoice and creating a new one. So now I can see the income between the different crews. I could go on and on the bottom line is my interaction has not been pleasant. I called to cancel and they called me back and left a message saying they have denied my cancellation request. Recommendations to other buyers: Here is my recommendation if your business has any of these things then the way the scheduler works it won't work for your business: -If you schedule more than 40 jobs. -If you have a customer that has multiple properties but 1 billing. -If you are scheduling reoccurring services. Other problems - when you invoice you can only batch over 1 customer at a time. --It won't invoice properties with multiple sites. The invoices all move transfer over as one site -The crew cant really see if there are any special instructions on a property unless they scroll through the work order and click open up special instructions. Pros: Ability to track my equipment. We have GPS units in our motor graders, trucks and mowers. These are the vehicles that are involved in road maintenance and snow removal and are subject to complaints from drivers and roadside landowners. We settled a lawsuit because we could not prove where our equipment was during the period preceeding a motor cycle accident. We can now account for where our equipment is at any time it is operating when a liability complaint is lodged against our department. Cons: The map display sometimes doesn't show the names of our roads unless we zoom in closely. This has improved since we have started, but on our local road system, the name of the road still does not appear until we zoom in close. This is an annoyance, but not something we would consider switching products because of it. Cons: there is zero customer service, they are never available and unfortunately, they are needed far too often. The glitches are extremely bad and due to a software "error" on the invoice side, i have lost thousands of pounds. when making a complaint i managed to finally get to a director who promised me he would look into it and almost a week later he said, "the system doesn't work the way you want it to" and fobbed me off with no help, i threatened to sue them and he practically said bring it on. this company is by far the worst experience I have ever, ever had the displeasure to have been suckered into. after making the complaint i find myself locked out of the account and no one available to sort the issue. I can guarantee that they have yet again messed up the payments (which happens so frequently) they didn't charge me for 6 months, and then called up and threatened to cut me off when they are the ones responsible for taking payments. Whatever you do find another company, this one will sell the software as the best thing ever, sign you up to a contract and once you've signed it tell you its for 3 years and there is no way of getting out of it. I could mention so many more things that are wrong about this company, but if you still buy it after reading this, good luck to you, you will need it. Comments: The biggest down side is they make you sign up for a minimum of 12 months which I believe shows a lack of confidence in the product. Lets face it if the product was good people would continue to use it. Beware when your contract runs out you cannot access any of the information including any outstanding jobs that need to be invoiced. Pros: Basic scheduling, quoting and invoicing, however does not have the project management capability for construction work. Unable to raise variation orders or progress payments. Cons: Software is very clunky and can be quite frustrating to use. Not being able to access the admin portal from a mobile device is also another down side because you cannot add or edit jobs while you are on the run. Pros: I like the fact that it's a cloud based, it's very live and any changes and interaction that happens is instantaneous and received by all parties that are using it. It can become a little communal office note pad for particular jobs. It's got a lot of customization levels and the reporting system is really good. The fact that it is mobile friendly for the field workers is really cool. There are very rarely any duplicate jobs now. If there are any discrepancies, we now have data and history. If something gets entered into the system we can see very clearly it is in the system; there's accountability. And the most pivotal thing was getting that cash flow - that rhythm and that procedure back. Cons: The app itself for the fieldworkers is great, it's really good but the lack of having an admin app is painful and then it does tether you to your office. In a situation where you don't have that space to sit down and pull out your laptop then you're kind of stuck. Recommendations to other buyers: Set up the platform properly in your initial stages and of course you can always modify as you get more familiar with it but take the time to do it in depth cause once you have it established you'll make your life a lot easier. We largely use the software for dispatching and field management. Pros: I like the ease of use. The drag and drop tool to rearrange service calls is handy. It just makes it far easier to get an idea of what our schedule looks like. Cons: The integration with Quickbooks is not well done, and we had to stop using that feature. If we went back into a job ticket in Verizon Work, after it had been sent to Quickbooks, it would revert back in Quickbooks to reflect the job ticket. So we would losing any pricing or grammatic corrections that we had made. Overall: Simplification, the ease of seeing job laid out. Comments: We have utilized Verizon WORK in a number of ways - first is to minimize drive times for our technicians by 'grouping' calls and determining which technician is closest to a customer site. This is very critical when emergency calls occur during the normal day. It also helps reduce fuel costs as we can monitor the speed in which the various vehicles are traveling and take corrective action on inefficient fuel use. Pros: This is an extremely easy to use platform that allows management to track each piece of our fleet and our heavy equipment. Cons: The reports are not capable of the level of customization that I would like which means at times there is the need to dig through a lot of information to find what is needed. Pros: The ability to dispatch jobs to our employees and for them to be able to make notes about their jobs. The ability to keep timecards for our employees...big plus!! Cons: No notifications for jobs that need invoiced. We have let billing for jobs fall through the cracks because there is nothing on the software indicating that something needs invoiced. We don't invoice through the software so I had to make up a status icon so that I can tell if we invoiced or not. This has helped a lot but it would be nice to have a notification page or dashboard showing jobs that are completed but still needs invoiced. Also it would be nice for helpers to clock in themselves without having to pay for another user. Recommendations to other buyers: After looking at a lot of other service softwares myself recently, Verizon WORK has a lot of great features. There are none out there that has EVERYTHING you want although that would be very nice. Pros: I like that I am able to dispatch my technicians. I like that they receive a text message that I can customize. I like that there is a map view. Cons: My techs all speak Spanish and the system had too many "windows". I would be best if the information was provided all on the screen that was pulled up. Instead, I had to teach them what each thing meant and many times, it still was hard for them to find it. The photos take too long to upload. Instead of saving us time, it took us longer, so many techs wouldn't use the feature which defeated the purpose of why we got it. Too expensive for only 5 users. Pros: Great Program. You can customize it to cover a lot of tracking and geo coding. Also help with maintenance reminders. Cons: Nothing really bad about it. Has Mobile App, reminders, and tracking. Really accurate. Installation was quick and easy. Pros: We have many customers and multiple work sites and at random a customer will call requesting either a job completion date/time record or a report for work we have done. With Verizon WORK I am able to log in and pull information for the customer irrespective of when the job was. We also have sub-contractors who work for us and Verizon WORK allows me to enter them into the system and dispatch jobs to them too. Cons: Currently with Verizon WORK you can see how many jobs you have each day in the month scheduler but I would like to have a drag and drop option on the monthly schedule viewer similar to outlook where you can also see a brief description of the job i.e time, location etc. Recommendations to other buyers: Sit down and write the specific requirements that you need because there are a lot of similar systems out there and not all of them will meet those needs or they may meet them in different ways. Normally there are five key points you want the system to do and writing those down and working out exactly what you want the software to do was is beneficial. I like the fact that it's made running our business more efficient. Pros: I like the fact that it's made business easier. Verizon WORK provides us with real time visibility of all our jobs. 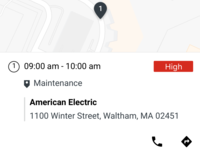 I know what's going on at any given moment and if customers call needing to know the arrival time of one of our field workers, I can log into Verizon WORK and see what stage they are at from their previous job and provide them with an approximate arrival time. 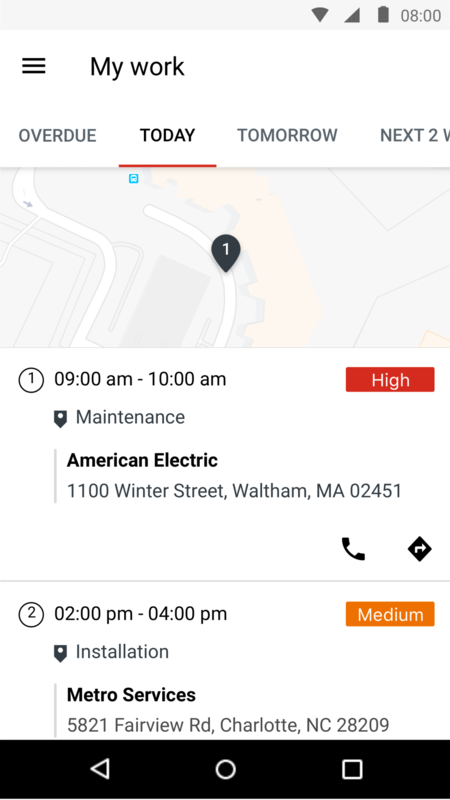 Verizon WORK allows us to bill customers for exact hours worked and we can record notes on the job which can be used to email through to clients at the time of invoice. Cons: We have a very different business to a lot of people. We have a many little pieces of inventory to track and a numerous job sites. I don't think there is any bad things, just niggles as there is with everything. Recommendations to other buyers: Have patience. You have to look at the software properly and not just at the templates that you get. Think outside the square because with Verizon WORK it does so much more than what I initially thought it could which has benefited our business. Comments: Good software but support and customer service is very poor. Pros: The software is standard for the industry. Both detailed and summary reports are good. Cons: Service from support staff and management is poor. Pricing is high and not good value. Comments: I have had Verizon WORK for 2 years now and I can say with all honesty that it's a great product for anyone that manages field personnel. It's easy to use for my guys and on the admin side, it's a great tool to run more efficiently on the billing side. Cons: I cannot run a report and separate job types to see which area of my business is doing better or worse than the rest. This is a tool I really need to run my business and I hope Verizon WORK implements soon so I do not have to look elsewhere. Recommendations to other buyers: If you have field personnel and want to run more efficient thank this is the CRM for you. Comments: The product was definitely oversold when we first looked at it. They make it sound like it can do whatever you need, but in reality, they try to find workarounds that end up being time consuming, or just don't fit at all with what we were trying to do. Everything in the software looks clean and polished, it's simple to do things like adding customers and creating jobs, but the process of linking service requests is complicated, the terms they use for jobs and tasks is not easy to figure out. It just is not user friendly for anyone with only basic computer skills. The smartphone app looks on the outside like it would be very useful, but it doesn't have even half the functions of the software on the computer and some important functionality is completely missing from the smartphone app. Once we reached the point where we realized it didn't work for our employees needs, the customer service reps appeared to "lose" E-mails, they don't communicate with other departments and their accounts payable department is disorganized and slow to respond. We've just had an all around poor experience with the software and a terrible experience with the company. Pros: It looks pretty and they're willing to spend as much time with you as you like when implementing the software to explain how everything works. Cons: The software doesn't have any flex room to adapt to people's needs. You would need to tailor your company to exactly function alongside the software limitations. Pros: It has many many functions. Full of cool features. Very useful. Cons: Confusing some times. There are so many features and tools. Overall: Used for 3years. Was very useful and feature full. Able to create work/job orders fast. Keep track of customer's equipment. Pros: Easy of use from screen to screen. Having the ability to run reports. The ability to log into the software on any computer. Cons: Not being able to exit from various screens back to the main screen. Not having the ability to run a report based on certain fields. Comments: I have been using Verizon WORK for the past year. I am pleased with its functionality but wish the customer support was more helpful. Pros: Tracking of projects, sync with Quickbooks for invoices and payments. Cons: I wish I could cater the program more to our Company's needs. Recommendations to other buyers: Use the trial period to work with the programmers and make sure it meets your needs and can be catered to your Company. Comments: I find the product easy to use and the job management capabilities are great. Verizon WORK also integrates with our MYOB accounting software and that works really well for us. It helps us to keep on top of our invoicing / cash flow. I think it's an excellent system. Every system has its limitations but, that's to be expected. With what we use it for, Verizon WORK works very well! Pros: I find the product easy to use and the job management capabilities are great. Verizon WORK integrates with our MYOB accounting software and that works really well for us. It helps us to keep on top of our invoicing to then increase cash flow. Recommendations to other buyers: Not particularly. We just find that with Verizon WORK we can manage our business in real time. Because the system is online it's especially useful when it comes to technicians working on the weekend and reducing overtime payments. Pros: We can dispatch jobs to our field teams and instantly provide them with all the information they need. When the job is complete and all notes and photos have been uploaded into Verizon WORK it can then be immediately invoiced from the office. It frees up a lot of our admin staff to do other things instead of wasting time with double data entry and phone calls. Cons: There are a couple of features that I would like that aren't in there but would be nice to have. I guess one would be progress payments. I haven't found a smooth way to do that. It's definitely better than what we use to do it anyway. Recommendations to other buyers: I can't stress how beneficial it is to my business, so I can't see how it wouldn't be beneficial to similar businesses. You don't need an IT expert to run a cloud based system where as with a server and those type of systems you're always relying on third parties to keep your business operating. So my advice would be just to dive in and do it. Pros: This router is powerful and I use it to connect 4 different pieces of office equipment. Is gets the job done without interuption. Cons: I travel to a few different places where i setup. You have to make sure that the location has a decent connection. Overall: wireless printers and copier. Comments: I will be honest with this review and will not exaggerate, even though the customer service frustrates me and they will not call me back after several attempts to resolve an issue. I've used Fleetmatics for about 6 months and their program works well, however, the way the salesperson sold me on the program he conned me into a 12 month contract, which they claim is standard. I am a business owner and I do not sign contacts with businesses I've never tested out. When I first began talking to a Fleetmatics representative, May 2015, the program seemed good and it was reasonably priced. I asked either Duane Stallworth or Mathew Hoffman about the pay structure, and they said they typically have 12 month contracts. I was unsure of how well this program would benefit our small company and said I couldn't sign a 12 month contract, as I could not afford to be locked into something that was not benefiting our company as well as they said it would. Because I would not sign up under a contract, Mathew assured me that I could cancel my service at any time. In June, I gave my office manager, Mark, permission to sign up with Fleetmatics, assuming what I discussed with Mathew was what I was signing up for. We used Fleetmatics for the next 6 months and although it worked well, I was not happy with it and decided to cancel my service. The customer service rep I was speaking to on the phone told me I could not cancel my service for another 6 months. And I assured her that I did not sign a 12 month contract. I found the paperwork that my office manager signed (his name is on it) and realized that Mathew changed our "contract" without my permission and had my office manager sign something I had not approved. He snuck one past me and now the customer service reps keep telling me they will look into it and then don't call me back. I havn't used Fleetmatics since December 2015, and they keep drawing money out of my bank account. I wish I could do business with a hand-shake, but unfortunately, Fleetmatics has shareholders it needs to please. I feel deceived. Verizon Is a good starter company for a phone user today, my first phone was with Verizon. Pros: when wifi is connected it runs smoothly and efficiently, it also has a lot of useful apps and tools that help figure out how to work the phone. Pros: Does just the trick for us. It allows our organization to track GPS and set geofences accordingly, as well as run reports on the data. Cons: If it was able to sync directly with QuickBooks, that'd be amazing! This would help is accurately tracking labor costs per job. Cons: Projects are a little difficult to manage in this software. There is no real easy way of doing it. There is also not a way for our techs to view when they have previously clocked in and out, and that is a huge in convenience. Pros: At the point when I changed over to Verizon WORK; the admin time from the point of job creation through to invoicing and job completion used to take me somewhere in the region of an hour per job and this is now down to 5mins per job. It's huge. Overall, it's an easy to use product. Cons: There can be bugs in the app from time to time, things like dates not popping up or having to check bits of data that I've put in, which isn't an everyday thing but it does happen from time to time. Most of them have been fixed as updates have come along. Recommendations to other buyers: I researched mine to death so I don't have any regrets. My recommendation: Just work out what it is that you need from your individual perspective and make sure whatever software you go for matches that. There were (just as a comparison) other systems I looked at that were going to cost me significantly more than Verizon WORK. So you definitely need to weight that up. Pros: This software is easy to use. You can track your fleet, regardless of the size. Reporting is simple and easy. You can break it down by the fleet or individual units with ease. Cons: Being a fairly new software, there are bug fixes/updates very frequent. Overall: With the launch of DOT/FMCSA requirements, our business has benefited greatly from this software. The service team has been eager to assist and this was a great option. Pros: Business is a lot more streamlined and we have an increased ability to manage the job. I can monitor where my fieldworkers are and have a real time visibility of our schedule. This allows me to allocate additional work to the team on the fly which increases revenue. The customer service has certainly been very good too. Cons: Verizon WORK is a platform that has been designed to work across multiple business types but I would like the service where I could sit down next to someone, show them my end to end process of what we would like to achieve and customise the platform to suit our business. Sometimes we find ourselves doing back flips and not using the product the way it was intended. Recommendations to other buyers: With Verizon WORK the product is complex so it pays to do the demonstration so they can take you through it and show you how it is going to benefit your business. Comments: We left Verizon Connect at the end of June (29/06/18 we sent email giving notice). We understood the notice period is 60 days, but on 13/07/18 access to our account had been suspended without prior notice. Since then we have been asking if we can get our data and NOBODY seems willing to assist. We keep getting told it's being looked into, but it's now January 2019, how much looking into exactly is required to download some data? Feeling extraordinarily let down, wouldn't recommend this company to anyone. Cons: It lacked certain features we needed for our business and we did have ongoing issues with the engineers struggling with the app. Pros: If you access everything from the admin side it works fine, but since most companies don't want technicians having full access that doesn't work. There is an app for the technicians, but it has very low functionality. It's constantly locking up and kicking the tech's out of their work orders. Doesnt work on Ipad or iphone which it says it should. Pros: It is pretty easy to use. I like the reporting features and hat you can customize them for your needs. Cons: I wish there was an app for admin users. Sometimes I'm on the go and I can't view the schedule from my phone. Comments: This program is in the early development stages. In the future it will get better with adaptations. Our company had hundreds of service calls. Pros: Compiles information into an easy to use dashboard that can be sorted by clicking on the job name or number as well as disposition. Cons: Fieldworker app on Android difficult to use. The Apple app users had better ease of use while the Android users were frustrated. Comments: I gave a 60 days notice to cancel our account and they shut down our access 2 weeks later. Right now I have customers calling that want us to do work and I can't schedule them. I cannot add any parts or labor that my service technicians are out there doing. I also don't have access to the jobs completed from April 1 - present that we haven't billed for yet. I have spoken to our account manager and she doesn't have authority to get us back in line. Getting someone to call me back is next to impossible. 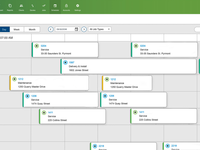 Pros: It worked much better than scheduling and tracking customer data in Excel. For us to go from very manual to using software and an app was good.